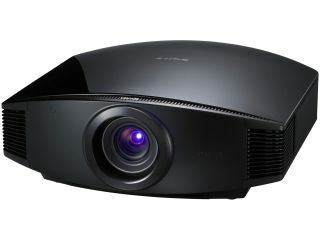 Sony has announced a 3D projector for the living room, with the VPL-VW90ES from Sony Professional aimed squarely at the home cinema enthusiast. The VPL-VW90ES offers a dynamic contract of 150,000:1 and Sony's Advanced Iris 3 technology and uses the active glasses technology in Sony's Bravia television range. "The VPL-VW90ES has been designed to deliver an optimal 3D experience that feels natural on the eyes," explains Sony's release. "The launch of our first 3D home projector marks the latest step in Sony realising its 3D World vision," said Jonathan White, Director B2B, Sony Professional. "From capturing images in 3D, through to the production and delivery stages, Sony is uniquely placed to deliver an incredible 3D viewer experience both at home and in the cinema. "The projector also opens up another dimension for gamers too. People will be able to play a rapidly increasing number of 3D titles such as Gran Turismo 5, and Wip3out in crystal clear high definition, something we believe is going to appeal hugely to the gaming community." The projector offers Full HD 1080p 3D projection, and can also do 2D to 3D conversion. The projector has been given a UK release date of November 2010, and we're told you can expect a price in the region of £6,000.